Arrive at Srinagar airport , welcome by our executive or driver and direct transfer by road to Gulmarg.Evening free for leisure and relax. Dinner & overnight at the hotel. 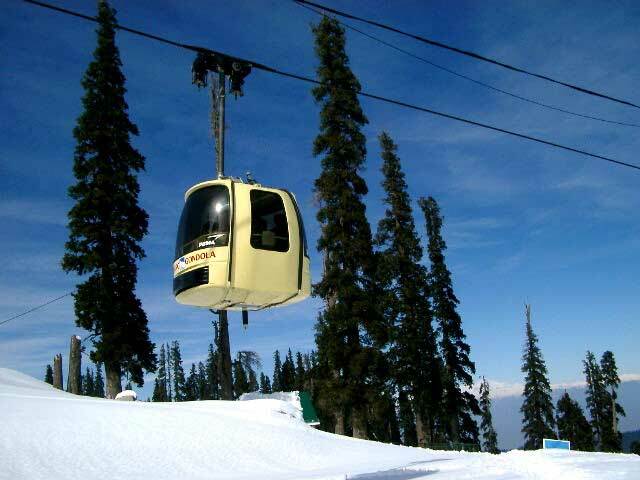 After breakfast, proceed for full day tour in Gulmarg. It is situated at an altitude of 2730 mtrs and known as “Meadow of flowers”.Enjoy walks in the lush green meadows of flowers having snow-capped mountains at the back. 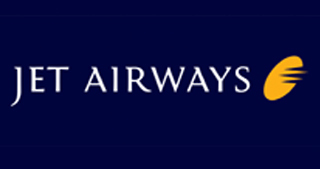 Also you go on a pony ride or a Gondola ride (rope way) to Khillanmarg at your own expenses. Gulmarg also has one of the worlds highest green gold courses, as well as a club house which is a historical building in its own right. Dinner & overnight stay at Gulmarg Hotel. 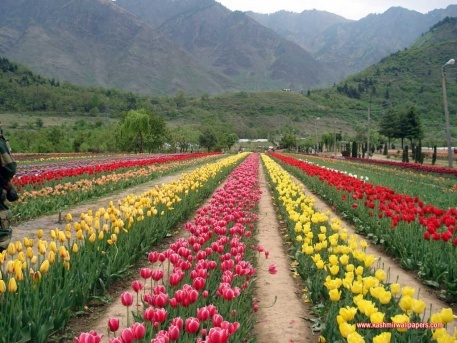 Enjoy Breakfast and depart for Pahalgam.On your way you will also visit the enchanting Saffron fields, Avantipura Ruins and Anantnag Sulpher Springs. On arrival at Pahalgam check in at the hotel and spend the rest of the day at leisure exploring the beautiful countryside.Dinner & overnight stay at Pahalgam Hotel. Enjoy the breakfast & proceed for sight seeings.Pahalgam also known as “The valley of Shepherds”. It is situated at the junction of the Aru and Sheshnag Rivers and surrounded by soaring, fir-covered mountains with bare, snow-capped peaks. 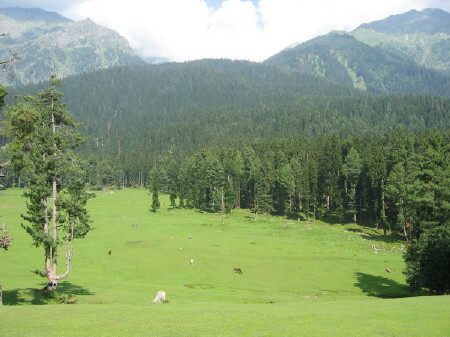 Around Pahalgam are many places of interest & one of most beautiful of these is the huge, undulating meadow of Baisaran, surrounded by thickly wooded forests of pine. Evening free for leisure and relax.Dinner & overnight stay at Pahalgam hotel. 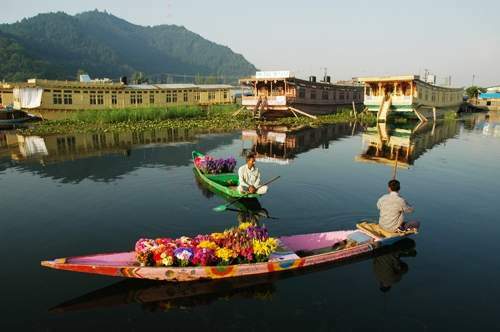 Enjoy breakfast and later proceed to Srinagar.Spend the rest of the day at Srinagar going on shikara rides or shopping to Floating Market on the Dal Lake at your own expanse. Dinner & t overnight stay at houseboat. After breakfast full day excursion to Sonmarg which is the most beautiful drive from Srinagar. On the way we stop at many beautiful spots. Continue drive to Sonmarg 2690 Mtrs (Meadow of Gold). One can ride on horse to visit Thajiwas Glacier where snow remains round the year and Sonmarg is known as Gateway of Ladakh. By evening return to Houseboat. Dinner & overnight stay at Hoseboat. After breakfast ,proceed for full day tour of world famous Mughal Gardens visiting the Nishat Bagh (The garden of pleasure) and Shalimar Bagh (Abode of love). Return to houseboat for hot lunch. In the afternoon Shikara ride on The Dal Lake to enjoy the beauty that God has graced this city with which is often compared to Venice. You will get a view of some very interesting places around the Lake. Overnight at Houseboat. Enjoy Breakfast and time for Morning free for personal activities .Afternoon transfer in time to the airport and End of Trip with loads of happy memories.